There are only 2 regular markets left of the season, make sure you get out there to stock up on goods from all of your favorite vendors. Stop by Mia’s House of Sweets to get your French Breakfast Puff fix. She’ll also have Pumpkin Oat Scones and Hermits – an old time favorite! Arrowhead Farm will have Bacon, Ham Steaks, Bacon, Sausage, and more Bacon. Heirloom Apple Jam and plenty of Greens. It was great to see all of the kids at the market last weekend decorating their pumpkins. This week we’ll be doing another Halloween-themed craft making Tootsie Roll Pop Spiders! Mark your calendars for next week (October 30th), we’ll be closing out the season with a great market and a Halloween Costume Parade for the kids. Follow our website & facebook page for more details. 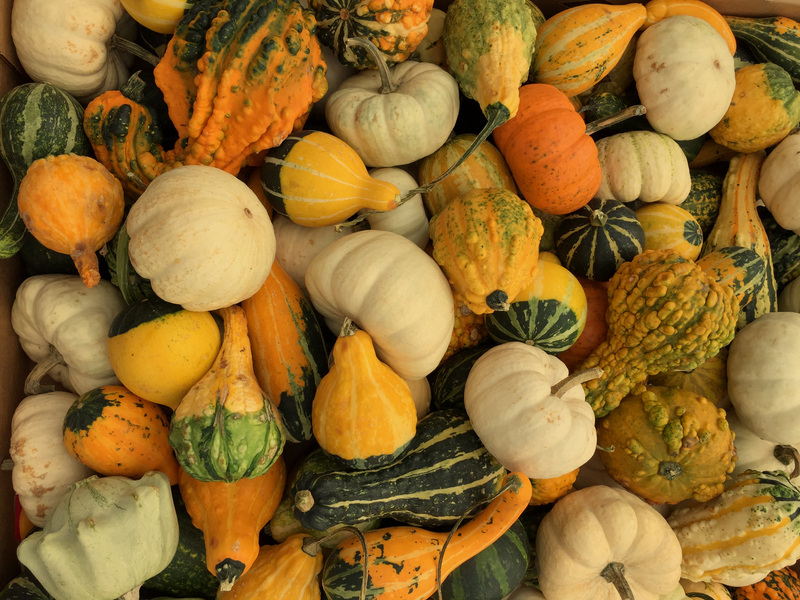 We will also have more details about our annual Indoor Thanksgiving Market coming soon! As always we’ll have it the Sunday before Thanksgiving so you can stock up on fall produce, farm fresh turkeys and fresh baked pies. We’ll see you at the market this Sunday 10-1! Due to the rain last weekend, we decided to reschedule our Pumpkin Decorating craft event to this weekend. We will have free pumpkins available to the first 40 kids. Feel free to bring your own pumpkins to decorate as well! The weather is looking to be gorgeous on Sunday, we’ll have some live music as well as a vibrant array of produce & goods from our vendors. Grant Family Farm will have fresh chicken available this weekend so be sure to stop by & pick up something fresh for dinner. Only a few weeks left of the season, take advantage of it while you can! We’ll see you there, 10-1! 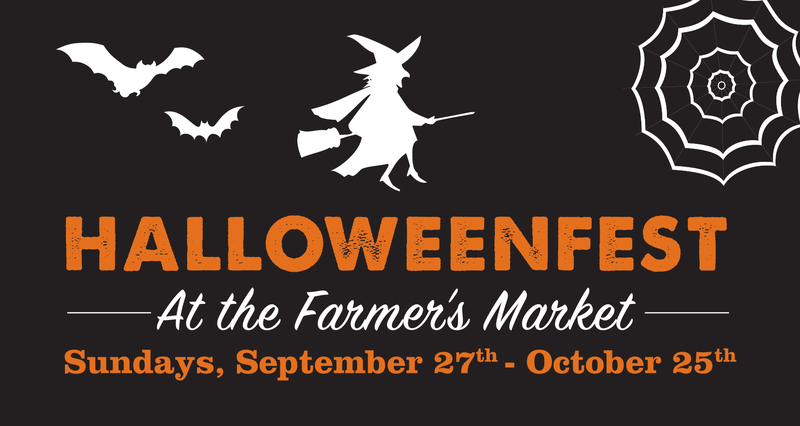 This weekend at the Farmer’s Market we’ll have a Pumpkin Decorating craft event for the kid’s. Pumpkins will be available to the first 40 kids, feel free to bring your own pumpkins to decorate as well! In addition to this, Mia’s House of Sweets will be bringing more fall-inspired treats like Chocolate Pumpkin Bread, Applesauce Bread and more Apple Pie Spice French Breakfast Puffs. She sold out last week so come early to get yours! Arrowhead Farm will have thick-cut Yorkshire Heritage breed pork chops. They will also have Heirloom Apple and Apple Pie Jam made with their own no-spray fruit and certified organic sugar. Long Hill Orchard will have broccoli, leeks, butternut, delicata & spaghetti squash, garlic, macouns, cortlands, macs, galas and much more! 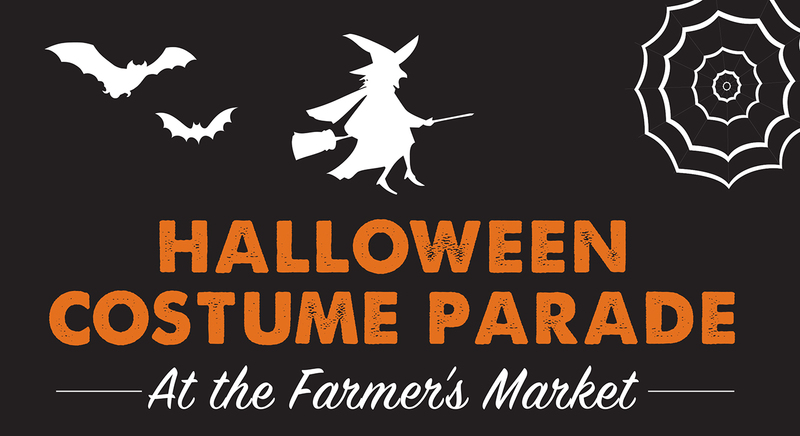 Halloween Costume Parade & Our Last Outdoor Market of the Season! This Sunday, October 25th, is our last outdoor market of the season. We will celebrate with a Halloween costume parade for the kids, bring them dressed up in their costumes and they will receive a goody bag for participation. Although this is our last outdoor market this year, we will be hosting our 3rd annual Indoor Thanksgiving Market on Sunday November 22nd. Stay tuned for more information on pre-ordering turkeys. We’ll have a wide variety of craft and food vendors so you can stock up on local goods for the holiday. Thank you for another great year and for your continued support! We look forward to growing the market with this wonderful community! If you would like to be a part of planning and running the market, we are always looking for more volunteers! Just send us an email or submit a contact form through this site and let us know that you’re interested. Halloweenfest At the Farmer’s Market! Starting this Sunday, September 27th and every Sunday up until our last outdoor market on October 25th, we’ll be celebrating October with weekly crafts for the kids. This weekend we’ll be making spooky themed wind chimes! Sunday October 25th we’ll be holding our 2nd annual Halloween Costume Parade at the market to celebrate the end of the season. Give the kids another reason to show off their costumes, as if they aren’t already wearing them every day in the house. We’ll also have fun family activities planned that day. The market is booming this time of year with tables overflowing with apples, pumpkins, squash, apple cider donuts and much more. We only have a few weeks left so enjoy it while you can! We’ll see you on Sunday, 10-1! Vendors joining us this week: Swiss Bakers, Salem Spice, Witch City Salsa, Alfalfa Farm, Cannoli Corner, Grant Farm, Honey Pot Farm, All Fruit, Fille de Ferme, Clark Farm, Moran’s Pet Food, Lanni’s Orchard, Golden Cod Fish, River Rock Farm, Pour Man’s Coffee, Long Hill Orchard, Next Step Living, Puff Love, Pickle Emporium, Rowand’s Fish, The Soup Guy.